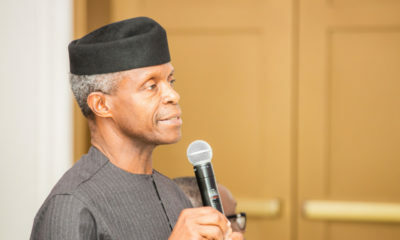 Acting President Yemi Osinbajo, SAN, has directed the resumption of 24-hour operations at the Apapa Port and out rightly banned touting by officials or unofficial persons at any port; be it air, land and sea ports in Nigeria. 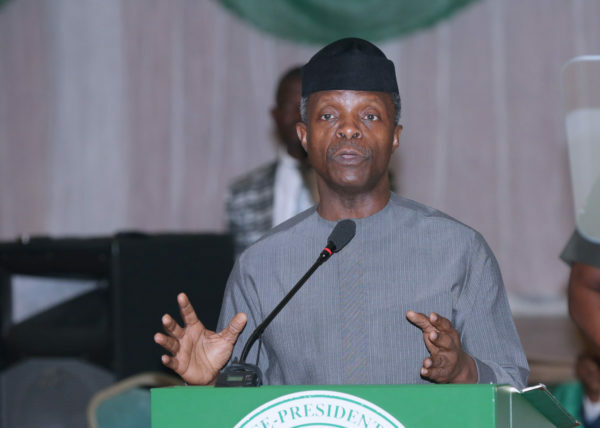 Prof. Osinbajo had on Thursday signed three Executive Orders dealing with the business environment, local content in public procurement and timely budget submission. The Orders take effect immediately. On duty staff shall be properly identified by uniform and official cards while off duty staff shall stay away from the ports except with the express approval of the agency head. The FAAN Aviation Security (AVSEC) and Nigeria Ports Authority (NPA) Security shall enforce this order. Any official caught soliciting or receiving bribes from passengers or other port users shall be subject to immediate removal from post and disciplinary as well as criminal proceedings in line with extant laws and regulations. All relevant MDAs at the airports shall within 30 days of the issuance of this Order merge their respective departure and arrival interfaces into a single customer interface, without prejudice to necessary back-end procedures. All agencies currently physically present in Nigerian Ports shall within 60 days harmonize their operations into one single interface station domiciled in one location in the port and implemented by a single joint task force at all times, without prejudice to necessary back-end procedures. Thats a good development as long the law is strictly implemented. I really believe this brief change will really help our economy.. The prove is in the pudding as long the officials comply with the executive order and not sabotage it.